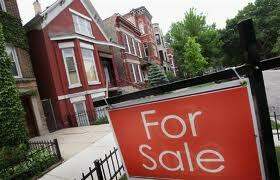 Average house prices were down slightly across the GTA in August, to $451,663 from July’s average of $459,122. However, average prices recorded in August were up 10 per cent year-over-year. The price of a detached house in Toronto hit a record $648,491 in August — compared to $531,458 in the 905 regions — largely because of a shortage of listings. But things should get easier for buyers as more houses come on the market over the next few weeks. While Toronto’s spring market was unusually hot, fuelling bidding wars and a 10% price increase over the last year, we’re predicting a more moderate increase in prices going into 2012, said Simon Giannini, CEO of The Real Estate Centre. “This bumpy ride that the global economy and financial markets are on is likely going to keep interest rates low, and of course, that’s great for the housing market,” said Giannini.